The next generation of video intercoms has arrived with the IX Series 2 Peer-to-Peer Video Intercoms. The new intercoms offer Session Initiation Protocol (SIP) compatibility, enhanced CCTV control, line supervision, backwards compatibility with the original IX Series and many more features and benefits to help create safer buildings with increased system flexibility. 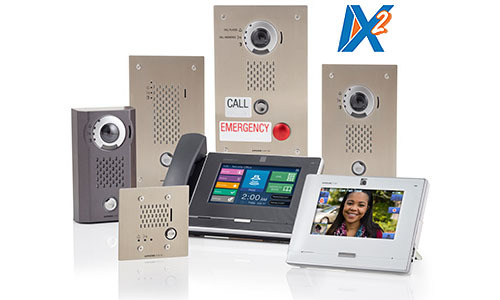 The performance and flexibility of the IX Series 2 makes it ideal for virtually any video intercom installation.